Alright then, beauty trends are reaching up to the bizarre end of creativity now and with this new one, we couldn’t help but cringe, not just once but every time we looked at it. Make-up artists have been using Instagram as an efficient platform to showcase their talent and we were onboard for the trends like braided brows, painted lips and eyes and stud make-up, the ones that are worthy of a spotlight. 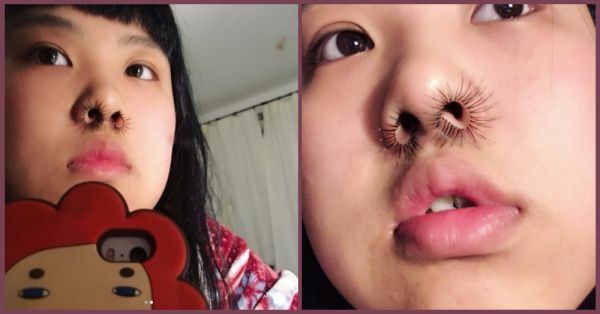 But let’s not forget that we have seen selfie nails go viral as well and yet again, just when we thought things could not get more unconventional, they just did with ‘nostril hair extensions’, another weird trend that’s growing. As first observed by Allure, an Instagram user who goes by the name GretChen Chen with a following of about 700 people posted an about-to-go-viral image. She had curled falsies attached to the edge of her nostrils, it was a look she called “nostril hair extension” and whether it was intentionally created or not, but the trend is here. The way these extensions are looped in a circle is sort of hypnotic, it’s just you have to keep looking at the details for a few seconds to observe that part. But we still hope it doesn’t catch on. Even though it’s precisely done but such trends are extremely exploratory and it takes time for them to find a right audience. There’s a fair chance that it’s an ahead-of-its-time kind of look. Some will call it cool, some will say it’s gross and insane. It’s certainly not something you would want to try on a regular day, it is the least wearable trend of this year but adding it to your Halloween look can be an option. With a trend like this, we can just say that the regular is out and unconventional is in. As much as we love to encourage creativity, this is not the kind of trend we were looking forward to but let’s say, 2017 has been the year of beauty experiments so far and this one is a ‘cheers’ to that. Okay, so if you are done with these and it’s out of your system now, go ahead and buy yourself some cool false eyelashes. 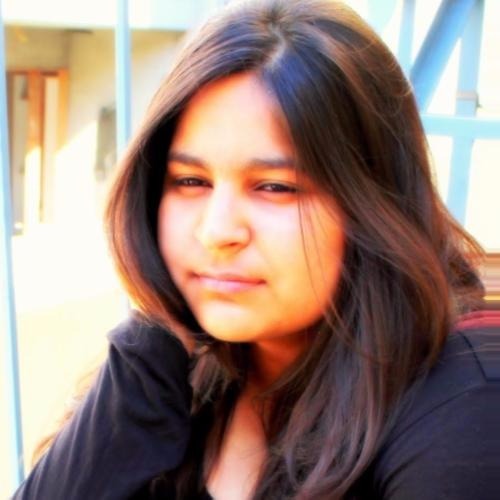 Not for such experiments necessarily, but to enhance those beautiful eyes of yours.